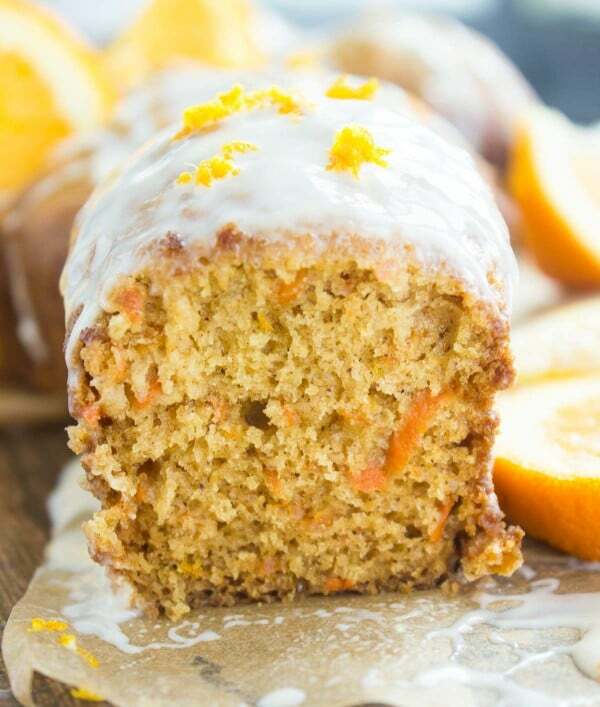 These Orange Carrot Cakes are light as air, very tender, moist, fluffy and studded with carrots. 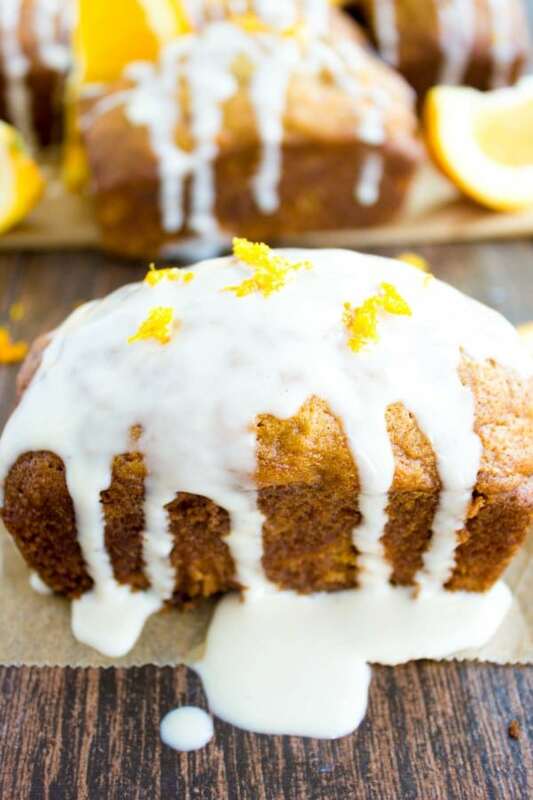 A carrot cake recipe with an extra boost of flavor and freshness from the orange and a faint hint of cinnamon spice. 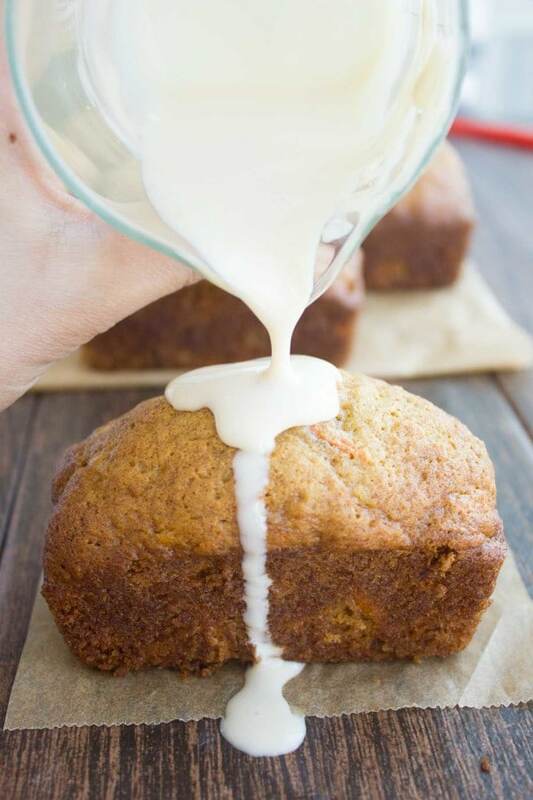 Drizzled with orange cream cheese icing, it’s carrot cake perfection! 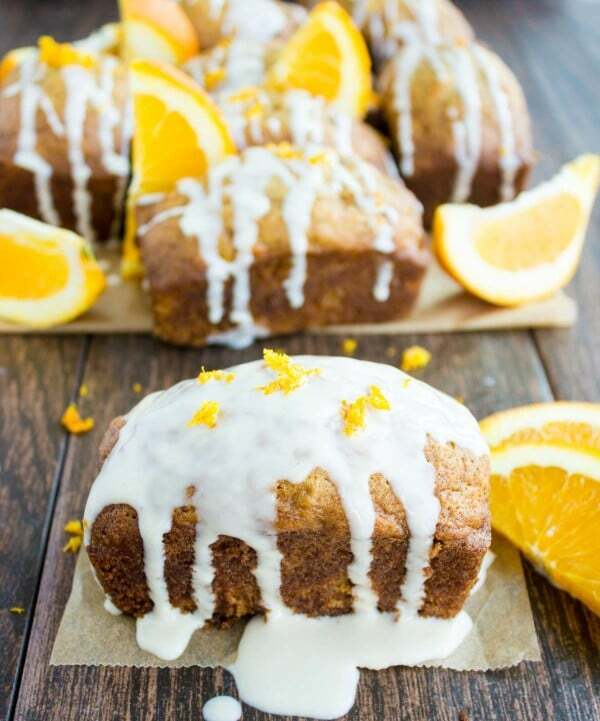 This is the best orange carrot cakes recipe out there! It’s light as air, very tender, moist, fluffy and studded with carrots. 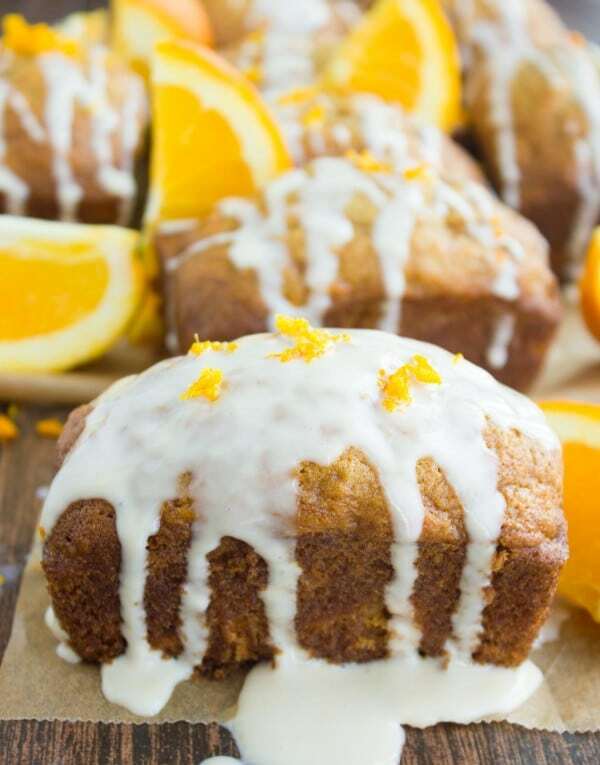 It has an extra boost of flavor and freshness from the orange and a hint of cinnamon spice. 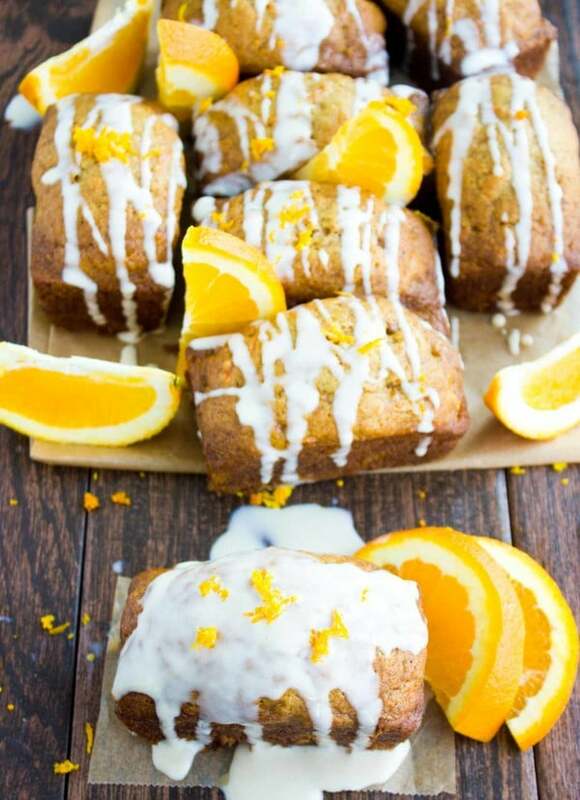 Drizzled with orange cream cheese icing, it’s orange carrot cake perfection served in mini loaf pans! I know everyone has a favorite carrot cake recipe, ok not everyone, nearly everyone. And I say that with a bit of confidence because I’ve seen so many carrot cakes labelled “favorite”. While I did enjoy some of them, I have to say this one here is my absolute favorite. And I will explain why—without using my girls as a reason—because they totally love these individual orange carrot cakes! Unlike many carrot cakes, these mini loaf cakes have very little oil and so they’re not greasy or heavy. They’re rather on the fluffy side. 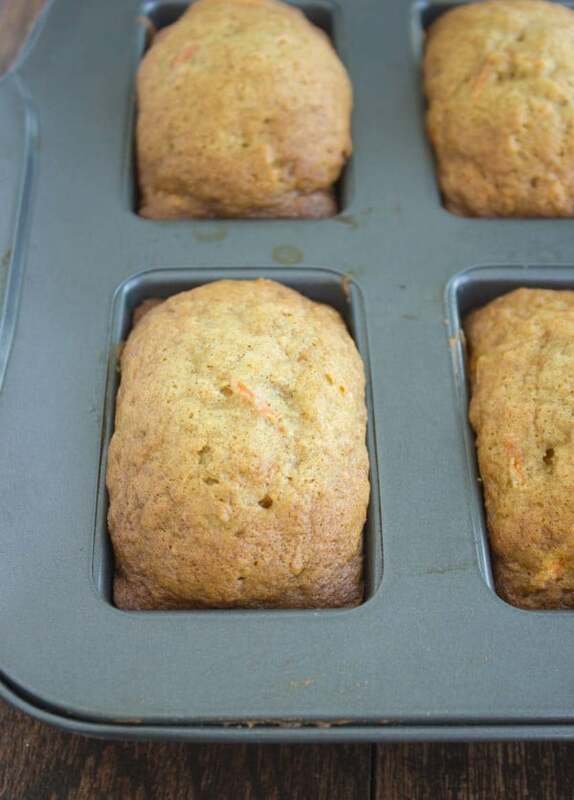 These orange carrot cakes have plenty of carrots in them, so they’re unmistakably carrot-y. And because of that, they can take on the extra shot of flavor which the orange adds. 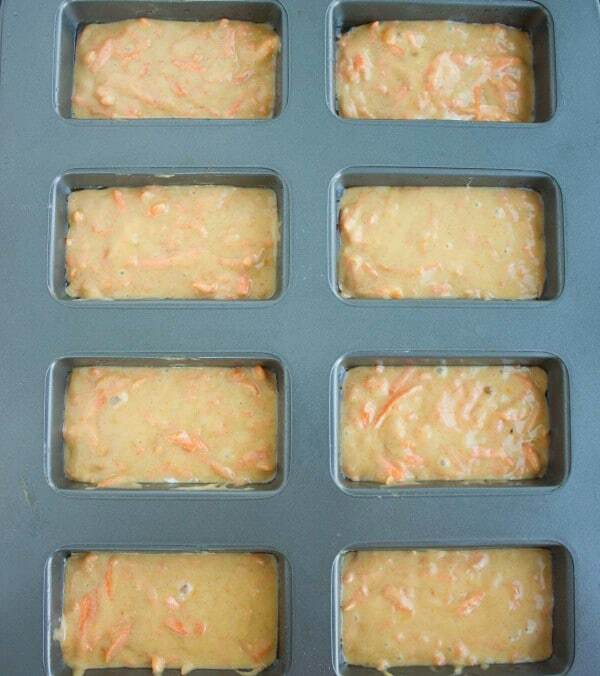 Orange really compliments the carrots perfectly without overpowering them and it freshens up the mini loaf cakes. I use orange zest and just a little bit of orange juice in the carrot cake recipe. I’ve tried using much more juice, and that’s when I felt it became overpowering. Preheat the oven to 375F and spray or paper line your mini loaf pan. In two separate bowls, combine all the wet ingredients and blend all the dry ingredients together. Add the dry ingredients to the wet ingredients bowl, and then mix in the carrots. Fold the batter using a rubber spatula, making sure to evenly distribute the carrots and incorporate all the flour mixture. The batter will be lumpy—which is ok, it produces a fluffier cake. Pour the batter into the 12 cavity mini loaf pans and bake for 18 minutes until a toothpick inserted in the centre of the cakes comes out clean. Let the mini carrot cakes cool for a few minutes before removing them. 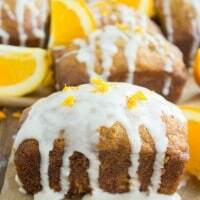 Glaze the cakes with an orange flavored cream cheese icing if using and sprinkle with extra orange zest. A few years ago while we were still living in Vienna, my brother in law asked me to make him the “best carrot cake”. Now he is not a foodie at all, rather an easy going “just add ketchup to it and it’ll taste great” – kind of person. We all enjoyed that cake I made (a decadent explosion of coconut, pecans and carrots) except for him. Suddenly his picky foodie side came up and he said that was not a carrot cake. He just wanted a carrot cake. So that same day I couldn’t wait and baked him these gorgeous orange carrot cakes. And I left the glaze optional. I was quite nervous until I saw his face when he bit into it. Love at first bite! Now that’s a carrot cake he finally said! And then added, that’s actually the best carrot cake! So there you have it, these are supposedly the best orange carrot cakes! Try this recipe in a mini loaf pan, as muffins or a cake and enjoy them with your family, kids, friends and co-workers! 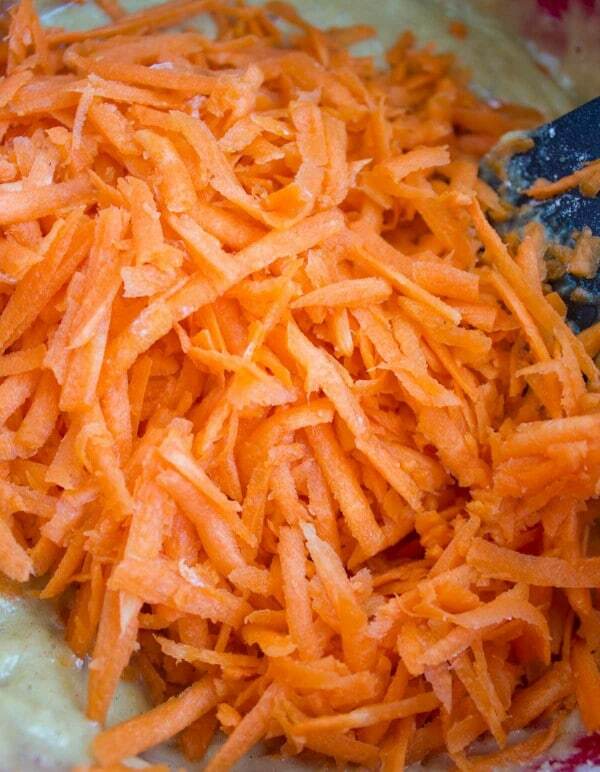 Squeeze some of the juice out of the grated carrots using a paper towel to prevent excess moisture. Don’t overmix the batter, as that might lead to dense carrot cakes as opposed to the light and fluffy texture we are after. Start checking the cakes for doneness after about 15 minutes. Why is this best orange carrot cake recipe? It’s light as air, very tender, moist, fluffy and studded with carrots. It has an extra boost of flavor and freshness from the orange and a faint hint of cinnamon spice. Drizzled with orange cream cheese icing, it’s carrot cake perfection! Preheat the oven to 375F and spray or paper line your mini loaf pan. In a large bowl, add all the wet ingredients together and whisk them smooth. In a smaller bowl, blend all the dry ingredients together. Add the dry ingredients to the wet ingredients bowl, and then add the carrots. Fold the batter together using a rubber spatula, making sure to evenly distribute the carrots and incorporating all the flour mixture. The batter will be lumpy—which is ok, it produces a fluffier cake. Let the cakes cool for a few minutes before removing them. Don't overmix the batter, as that might lead to dense carrot cakes as opposed to the light and fluffy texture we are after. The best I’ve tried ….everyone loved it…. This recipe sounds amazing – I like the idea of the mini tins (which I do have) but can the recipe also Cbe made into a whole cake -round or square, and still be light & fluffy?